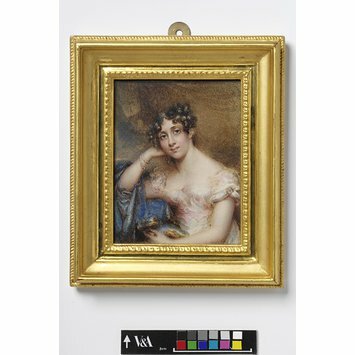 Watercolour on ivory half-length portrait miniature of Miss Elliott, seated. 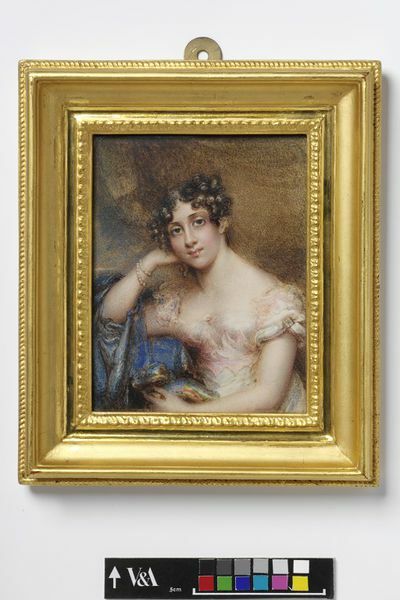 Portrait miniature of Miss Elliott, watercolour on ivory, painted by Mrs Mee (ca. 1771-1851). Great Britain, ca. 1825.